A chic PVD rose gold tone bracelet watch from the Boyfriend Small collection by Coach. 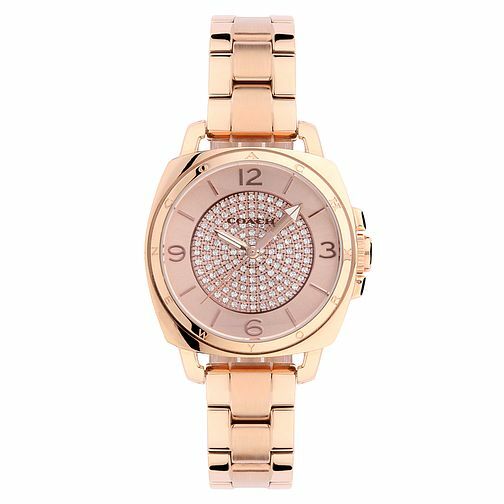 With a rose coloured dial with crystal embellishment, this feminine watch offers sleek style to take you through from daytime to evening. Effortless New York style by Coach, expertly crafted since 1941.